Managing your consumption cost is of course important in any Cloud situation. To make it easier to understand what project is consuming what, OCI now support Cost-Tracking Tags. You can create (currently) up to 10 different cost-tracking tags. For each resource like Compute, Storage, Database and Networking you can assign these Tags with a certain value. In the billing administration you can then filter based on these assigned tags. For instance you can create a CostCenter.bucket pre-defined tag. When you then have created the TAG, you can use this to assign a value for each instance. After this, you can use these Tags to filter the Usage Cost in the Account Portal. It takes about 4 Hours for the Tags become available in the Account Portal! 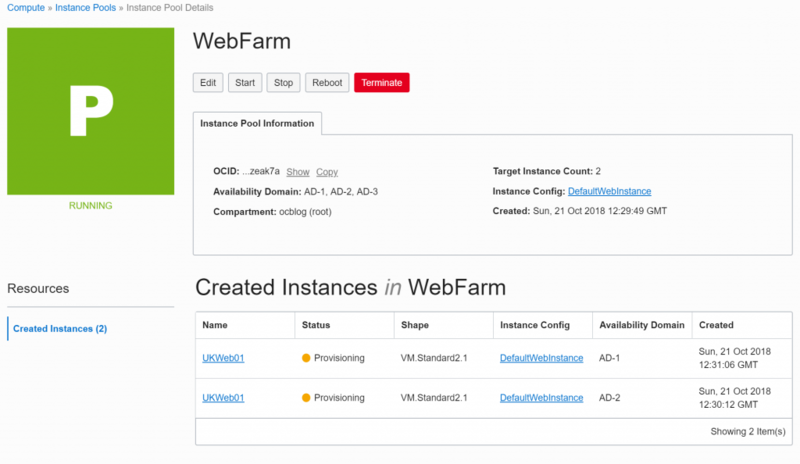 Another new feature in OCI is the concept of Instance Pools and Instance Configurations. 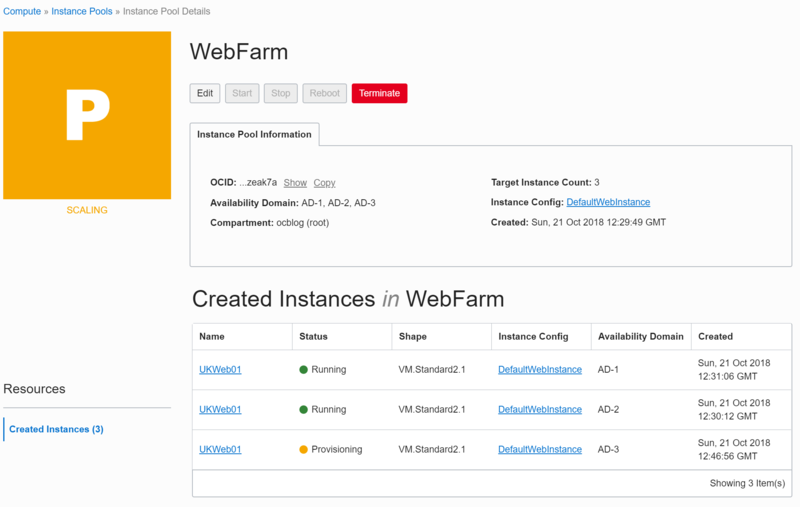 You can create from an Instance an Instance Configuration, see this as the Master Template. 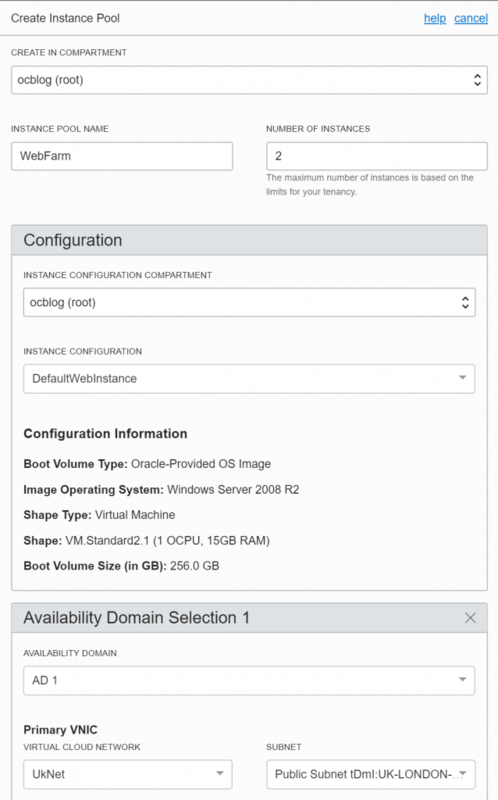 Then you can create a pool based on that configuration and configure its size and what Availability Domains it can use. If for example you want a pool of 6 of these instances, OCI will then automatically provision these 6 instances across the ADs your have specified. You can later easily change the size of your pool or start/stop the entire pool.